For more than 28 years Bentley Hevacomp has provided designers, building engineers and consultants the tools they need to meet the challenges of creating energy efficient buildings that are tuned to their environment, perform for their occupants, and provide ROI for their owners. Bentley Hevacomp offers software for building performance design, simulation, and energy certification based on the EnergyPlus analysis engine. Supporting ISO, IEE, CIBSE and ASHRAE standards, these industry-leading tools are used around the world to help predict a building's real-world performance as well as provide required compliance checking and documentation, such as those mandated by U.K. Part L2 and Australia Section J. Quickly analyze design options to see if they pass or fail certification and provide the appropriate documentation, such as those mandated by U.K. Part L and Australia Section J.
Bentley Hevacomp Mechanical and Energy Modeling - Full building design and energy modeling. 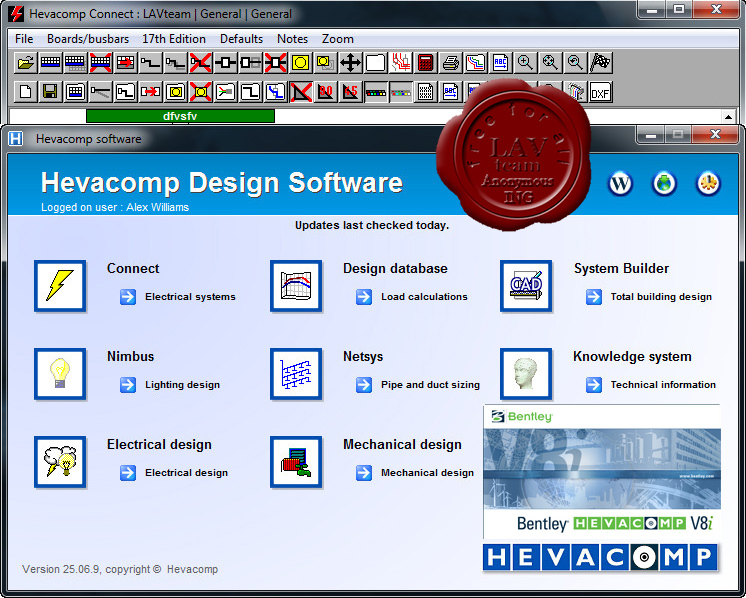 Bentley Hevacomp Electrical Suite - An electrical design software suite for electrical designers and contractors working in the United Kingdom. PartL and Energy Assessors - Fully accredited standalone EPC (Energy Performance Certificate) programs for the United Kingdom's energy assessment industry.